CDNS and CommunityDNS have one of the largest and most secure Anycast DNS constellations in service on the Internet. 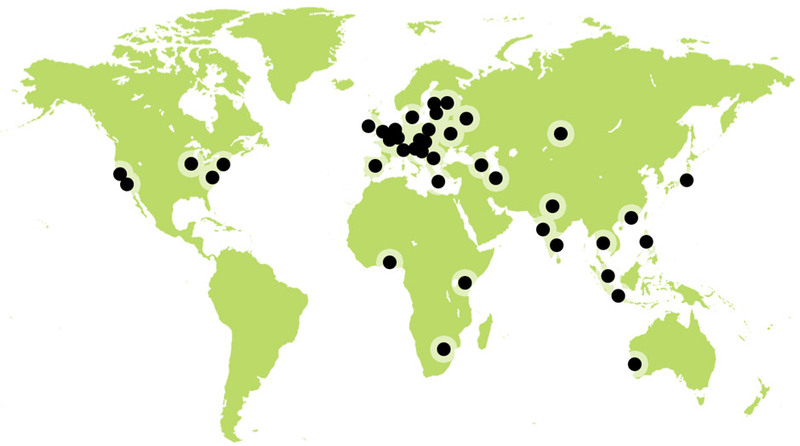 With over 40 locations in over 30 countries (and growing!) in constant steady-state operation, your domains are certain to be operational. CommunityDNS has handled 53% more queries during major attacks as customer's other DNS providers are unable to handle the load, thus resolvers automatically switching more traffic to CommunityDNS. Platform efficiency, capacity and speed enable CommunityDNS to handle high traffic volumes that are well beyond what are availble using other platforms. Comprised of six anycast clouds, with clustering incorporated in the native design, the network has experienced 100% uptime in operation since 1996. The impressive list above contains 42 locations. The network is designed to scale to thousands of nodes with little effort or overhead.